Our process starts with the seeding of the high-drainage, soil based growing medium. The seeding machine’s metal plate has holes that are positioned in a way that allows them to be lined up with the medium. A vacuum is turned on and the seeds are sprinkled on the plate. The plate is then flipped and the vacuum is turned off. By doing this, the seeds are released into the holes in a uniform and timely manner. The slab is then placed in a germination tray and is put aside to be watered. A light shower from the hose allows the seeds and growing medium to receive the small amount of water needed to carry them through the next step. After each tray is seeded and watered, they are placed in the germination area. 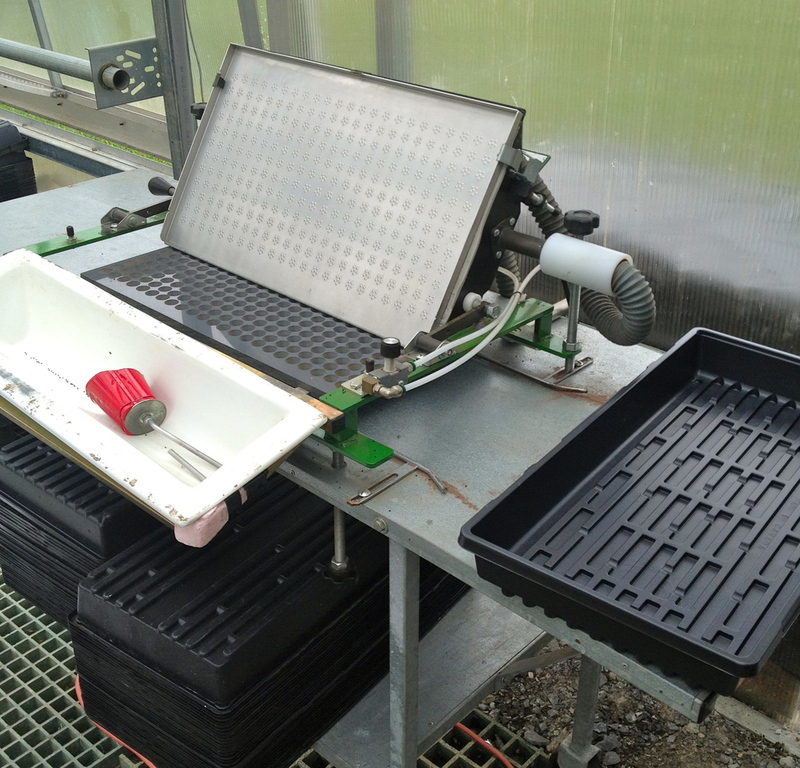 While there, the newly seeded trays exposed to high heat. This process allows the seed jacket to open, making it possible for the seeds to sprout. At this point, the young plants move to one of two platforms to receive artificial and natural sunlight. Timers control the amount of water and light the plants receive each day. When the basil reaches the right height, it is transplanted (plugged) into the pool areas. The plugs are placed in holes located on the floating boards. From here, the plants remain relatively untouched for up to a month’s time. The light and water do most of the work in this step of our process. Once the plants reach the proper height, they are ready to be harvested and packed for delivery. 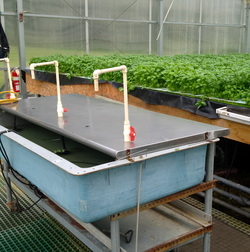 The plants are removed from the boards and laid on a stainless steel “packing table”, with attached water basin. Small pumps, hoses and PVC spouts are used to draw the water from the tub and into our plastic sleeves. Each plant is evaluated and then placed in the now water-filled sleeves. The process is repeated 12 times per box. Each box is date stamped and prepared for shipping. 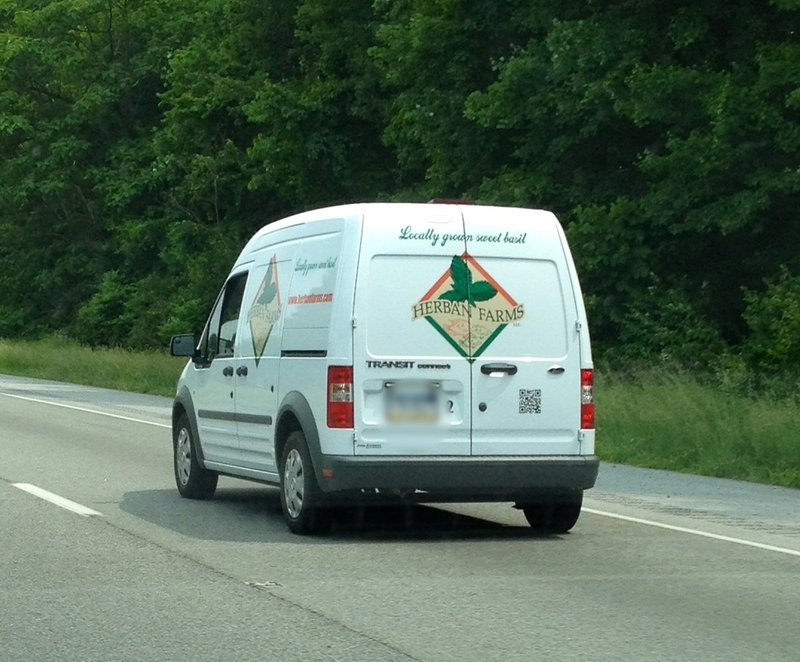 For the final step of the process, the basil filled boxes are loaded into our vans and sent out for delivery. In some cases, our product can be on the shelves within an hour of being harvested. We currently service over 100 area stores and are looking to add to that number everyday.